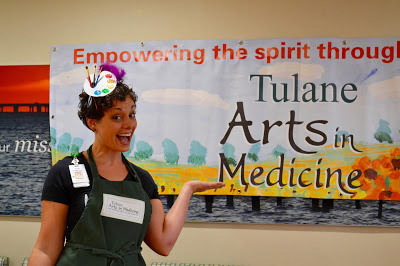 Julie Connelly, Coordinator of Tulane’s Arts in Medicine program, welcomed guests to PaintFest 2018 on Saturday at Tulane Lakeside Hospital for Women and Children. 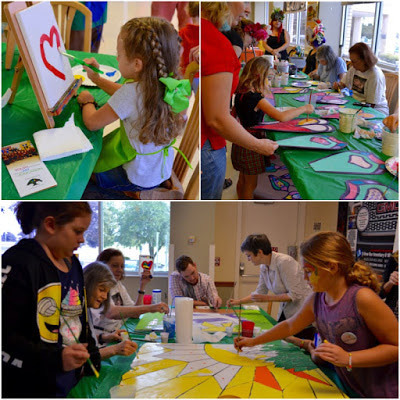 During the event, GRFA offered two creative opportunities to PaintFest participants: painting part of the special mural that will hang in the hospital, or create anything they’d like on their own blank canvas. 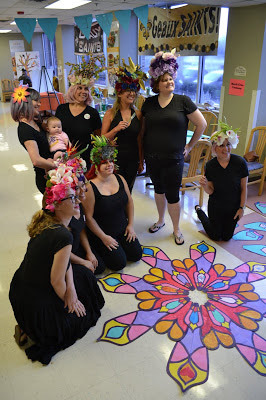 Mardi Gras Customs and volunteers provided collaborative flower painting projects for attendees. Once completed, the large sculptural flowers will go on display in the hospital. 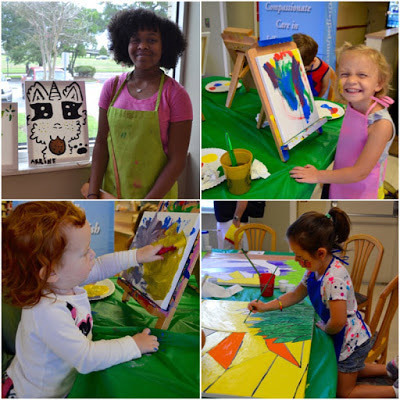 We are so appreciative of the many guests that helped complete the hospital art projects. Soon the hospital will have new, vibrant artwork to display in the halls. 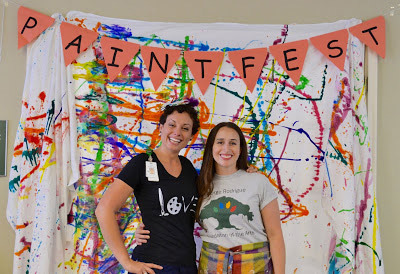 PaintFest 2018 marked the 2nd year of collaboration between Arts in Medicine and the George Rodrigue Foundation of the Arts. Pictured, (left) Julie Connelly of Tulane’s AIM and (right) Rachel Gaudry of GRFA.